QL-Custom are capable of molding high temperature teflon plastics , this is not a current factory could supply you high technique molding plastic parts, an over molding on parts or on components or some of covers on electronic joints . 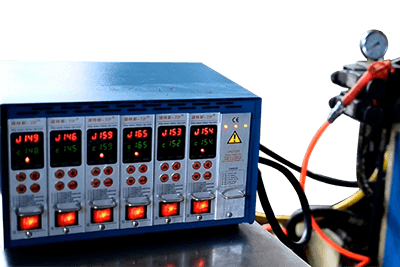 This technology is a test of a company’s control of injection molding pressure, the control of each section of the machine temperature, the design of the mold and the temperature control of the work, and the improvement of the equipment. Not only that, the choice of high temperature material is also very strict. High temperature molding is a series of plastic injection molding, is the use of plastic raw materials after heating into a molten state through the use of injection molding machine pressure, speed, the molten plastic injection into the pre-designed closed mold cavities, after cooling, and get the finalized products, which is unique to the current injection molding is the temperature higher than the current molding , to 400℃ than current about 200℃ , through the high temperature melt, and the high temperature of the rotating and reciprocating screw, pass by the injection chamber, reached to the cavities ,after a slightly longer seconds cooling system formation products completed. Teflon family of plastic particles is a very good high-temperature injection molding materials, the most representative and our company used the case of PFA, PFA itself is transparent color, molding temperature up to 400degrees Celsius, molding temperature is divided into 3 steps , The first paragraph of 360 degrees Celsius, the second paragraph of 375 degrees Celsius, the third paragraph, 380 ~ 390 degrees Celsius, this divide ensure the materials melt not qualitative change. 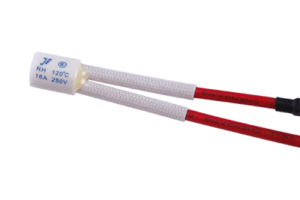 Not only teflon materials suitable for high temperature molding but also including PSU can reach 350 degrees Celsius, is an ideal choice. Silicone, polyether imide, polyether ether ketone, liquid crystal polymer, and other modified nylon, can reach more than 250 degrees Celsius. High temperature material molded as a part with colored need to choose different toner, so, the toner thermal endurance is also important to the materials , a good temperature resistance toner could prevent the color change during the molding materials melt in the molding machine. 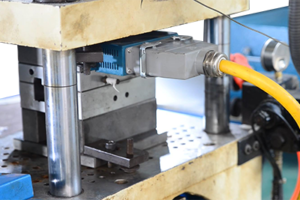 Injection molding process need to control the temperature of the barrel ,nozzle, and mold temperature. The first two kinds of temperature mainly affect the plasticization and flow of plastic, and then a temperature is mainly affecting the flow of plastic and cooling. Each plastic has a different flow temperature, the same kind of plastic, due to different sources or grades, the flow temperature and decomposition temperature is different, it is due to the average molecular weight and molecular weight distribution caused by different plastic in different types of injection Machine , so choose the cylinder temperature is not the same. Mold temperature on the product’s inherent performance and apparent quality of a great impact. The temperature of the mold depends on the presence or absence of the crystallinity of the plastic, the size and structure of the product, the performance requirements, and other process conditions (melt temperature, injection speed and injection pressure, molding cycle, etc. ).